For those who love leopard pattern design, our Low Profile Canvas Leopard Printed Mesh Cap is the perfect one. 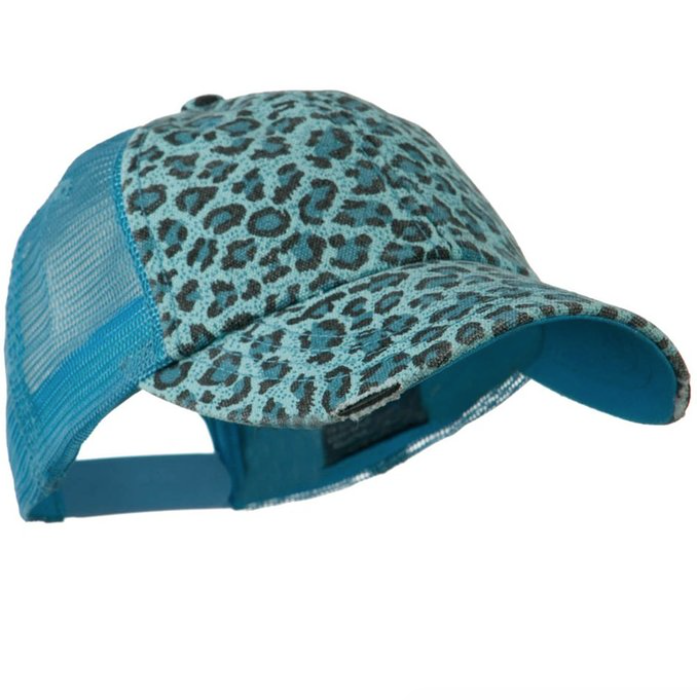 Low in profile with a flattering slim round shape, the crown is made out of 6 panels: 4 panels of mesh at the sides and back and 2 panels of durable and light polyester and cotton blend material, accented with exotic various colored leopard pattern. The curved 3 inches frayed bill is also covered in matching fabric. The inside of the hat is lined with lightly padded hatband for comfort, and the back of the hat is finished with an adjustable strap for a secure fit. One size fits most, fitting up to 7. Crown measures 4 1/2 inches deep with adjustable snap closure.